The holidays is a time of year when people are most likely to make time to see each other. Families gather and spend a lot of time together. We also tend to feel our most generous around the holidays. To some people this may be the perfect time to tell their responsible adult children that they are giving them some part of the family business. Aside from potential gift tax issues, this is not in an of itself an overly complicated thing to do. Passing the torch to the next generation means you are leaving a legacy that is something more than a collection of accounts or assets. Growing a business is like raising a child. Giving an ownership interest to your child who participates in the operation of the business is a milestone for your business much like moving away to college or starting their first job in accounting (instead of sweeping the floors) was a milestone for your child. Making this gift the right way can ensure familial harmony and may save thousands in attorney’s fees and litigation costs down the road. Should you give an inheritance while you are still alive? When making a gift of part of your estate during your lifetime there are a few things you want to keep in mind. These include spousal elective share, gift tax, whether you think you might need medicaid in the next 5 years, and the gift’s effect on your family when you die. Each one of these issues can be affected by an inheritance advancement. In Florida, the elective share of the surviving spouse includes a lot of property. There are a limited number of transfers that will not be included in the spousal elective share. For the purposes of inter vivos gifts, the only gifts not included in the elective share of your surviving spouse are those that were irrevocable before the effective date of the Florida Statutes §732.2045 (adopted in 1999), or after that effective date, but before the marriage to the surviving spouse. This means certain transfers to someone other than the surviving spouse for less than full fair market value, and without the consent of the surviving spouse will be included in the elective share. Gifts during your lifetime could end up completely undermining your intended estate plan after your death. Transfers of assets should be done with advice of counsel. A well intentioned attempt to pass on the family business to the kids may cause expensive litigation unless the spousal elective share is accounted for. Currently each person can give $15,000 to any number of recipient without incurring a gift tax (this amount can change). Gifts from spouses can be combined, but that requires a gift tax return. A gift any larger than this may be subject to gift tax, and also require a gift tax return. The current unified exemption is $11 million per person. This means, that as long as your gift is less than $11 million there won’t be gift or estate tax liability BUT you must prepare and submit a gift tax return. The gift tax return is primarily the responsibility of the person giving the gift during their lifetime. However the recipient of the gift my have secondary liability for the return. The personal representative will be responsible for filing the gift tax return if the transfer is made at death. Giving things away is usually a simple proposition. However, with large gifts you must consider possible taxes and make sure to consult with a tax professional before making the gift. A major area of our practice involves helping people qualify for assistance paying for nursing care. Transfers for less than full market value within 5 years of a medicaid application will most likely result in a disqualification period. The average cost per month in Florida for nursing home care is $9171 per month! Not many people earn enough to cover that bill in their prime earning years, let alone when they are retired. Often times we can help preserve assets and allow someone to qualify for Medicaid benefits for people who need skilled nursing around the clock. One issue that complicates this process is gifts. Any transfer that we can’t identify as being for the benefit of a Medicaid applicant, we treat like a gift in calculating potential gift penalties. This way we can predict how the application will be evaluated, so that we can ensure our client will qualify for Medicaid instead of leaving it to chance. If you give away $250,000.00 worth of closely held stock in the family business, that will most likely result in a denial of Medicaid benefits if an application is submitted within 5 years of the date of that gift. This could result in over two years of ineligibility. That’s $250,000 that will end up going to the skilled nursing facility instead of your family. Lifetime Gifts Effects on Estate Planning. If you make gifts during your lifetime, it is very important to consider whether you want these gifts to be just a gift or an advancement. An advancement is a transfer of part of your estate during your lifetime. If you wish to make an advancement so you may get to see your beneficiary enjoy the gift, or train them to run the business, you must do one of three things. You may execute a writing at the same time as the gift specifically declaring that the gift is an advancement that should satisfy part or all of the recipient’s share of your estate. The recipient must acknowledge in writing that the gift is an advancement of part or all of their share of your estate. Execute an estate plan that includes the name of the recipient and clearly articulates that they are omitted from the will because they have already received their share from you. Passing the torch to the next generation can be a very satisfying, empowering, and exciting event. Legal professionals are often also excited to help families make this transition. Some lawyers like the gamesmanship of squabbling beneficiaries, others enjoy trying to make sure these fights do not happen in the first place. 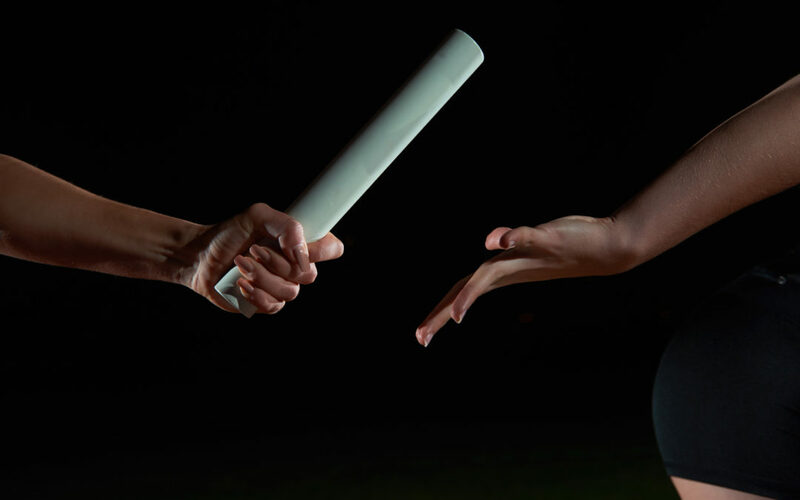 If you are thinking about your succession plan, and passing the baton to your responsible adult children, contact us to schedule a free consultation so we can help make sure there are no surprises.